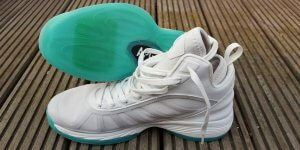 Finding the right basketball shoes used to be a huge ordeal for me. There are so many brands and models these days, if you don’t stay up to date, you don’t even know where to start looking when you need a new pair! I always thought: Wouldn’t it be nice to have a resource where you can see all the latest shoes with all their details and ratings in one clean page? As I couldn’t find something like this, I decided to build it myself! 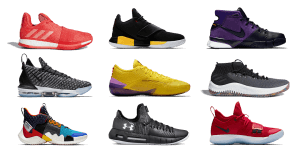 That’s how I created this database which includes 477 reviews of 81 performance basketball shoes so far! But navigating this database on a mobile phone isn’t the most intuitive experience, that’s why I decided to build a mobile app now available on iOS and Android. 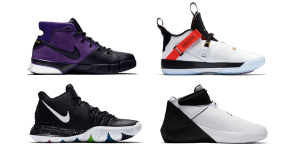 In the first tab you have an overview of all performance basketball shoes. You can sort this list of shoes by release date, overall rating, brand or even how well they do outdoors. If you click on any shoe, you can check out ratings for overall performance, traction, cushion, materials, fit, support and outdoor use and learn if these shoes run long/short or wide/narrow. Scroll down a little further and you see summaries of sneaker reviews with links to read/watch the complete review. 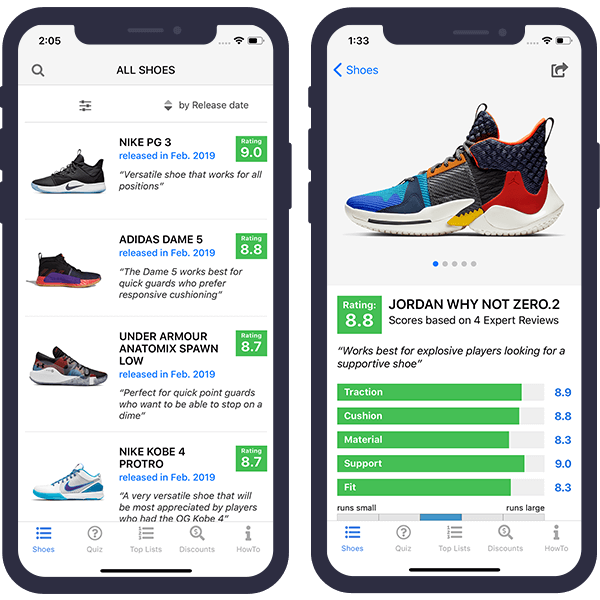 If you have no idea which shoes to get you can take this short survey, answer 6 questions about your playing style, shape of feet, and your budget and the app will recommend shoes that fit your style! 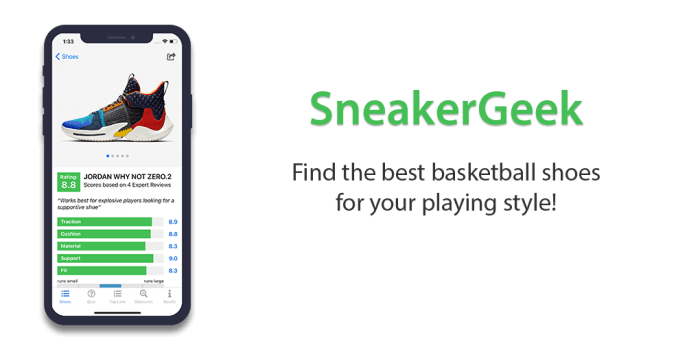 This is the easiest and quickest way to find your next pair of basketball shoes! 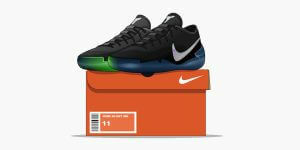 Want to know the best outdoor shoes, the best Nike sneakers or shoes that will work best for centers? Check out this tab to find “Best of” lists for different categories and playing styles! Check out this tab to see discount codes for some of the most popular online shoe stores. 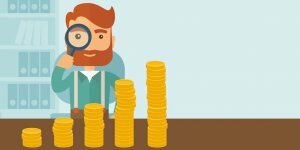 This way you will always get the best possible price! If you have any questions about the app or you want to recommend new features, let me know in the comments!